Tap water (running water, city water, municipal water, drinkable water, etc.) is a part of indoor plumbing which became available in parts of the developed world during the last quarter of the 19th Century, and which became common during the mid-20th Century. The science of providing of pure water to cities, towns, and villages is a major subfield of civil engineering, just as modern sanitary engineering is also a major subfield of it. The providing of clean tap water in modern societies is a massive system of water purification plants, aqueducts, water wells, above-ground and underground water storage tanks, underground tunnels, piping, and occasionally water pumps, all designed and built by civil engineers and construction companies under the supervision of such engineers. The direct cost of the tap water alone, however, is a small fraction of that of bottled water, which can cost from 240 to 10,000 times as much for the same amount. The availability of clean tap water brings major public health benefits. Usually, the same governmental agency of administration that provides tap water is also responsible for the removal and treatment of wastewater. In many areas, chemicals containing fluoride are added to the tap water in an effort to improve public dental health. In some countries, this remains a controversial issue for some of the population. See water fluoridation controversy. Tap water may contain various types of natural but relatively harmless contaminants such as scaling agents like calcium carbonate in hard water and metal ions such as magnesium and iron, and odoriferous gases such as hydrogen sulfide. Local geological conditions affecting groundwater are determining factors of the presence of these substances in water. Occasionally, there are health concerns regarding the leakage of dangerous biological or chemical contaminating agents into local water supplies when people are advised by public health officials not to drink the water, and drink bottled water instead. For perspective, out of all the water supplied to dwellings annually 42 percent of it was used for indoor purposes, and 59 percent of it for outdoor purposes, such as for watering lawns, gardens, and trees, and for maintaing water in swimming pools, where inevitably a lot of water evaporates or is otherwise used up. Experimental attempts have been made to introduce non-potable greywater or rainwater for secondary uses such as toilets in order to reduce enormous environmental and energy costs. In urban China, drinking water can be optionally delivered by a separate tap. Domestic water systems have been evolving since people first located their homes near a running water supply, e.g., a stream or river. The water flow also allowed sending waste water away from the domiciles. Modern indoor plumbing delivers clean, safe, potable water to each service point in the distribution system. It is imperative that the clean water not be contaminated by the waste water (disposal) side of the process system. Historically, this contamination of drinking water has been the largest killer of humans. Everything in a building that uses water falls under one of two categories; Fixture or Appliance. As the consumption points above perform their function, most produce waste/sewage components that will require removal by the waste/sewage side of the system. The minimum is an air gap. See cross connection control & backflow prevention for an overview of backflow prevention methods and devices currently in use, both through the use of mechanical and physical principles. In old construction, lead plumbing was common. It was generally eclipsed toward the end of the 1800s by galvanized iron water pipes which were attached with threaded pipe fittings. Higher durability, and cost, systems were made with brass pipe and fittings. Copper with soldered fittings became popular around 1950, though it had been used as early as 1900. Plastic supply pipes have become increasingly common since about 1970, with a variety of materials and fittings employed, however plastic water pipes do not keep water as clean as copper and brass piping does. 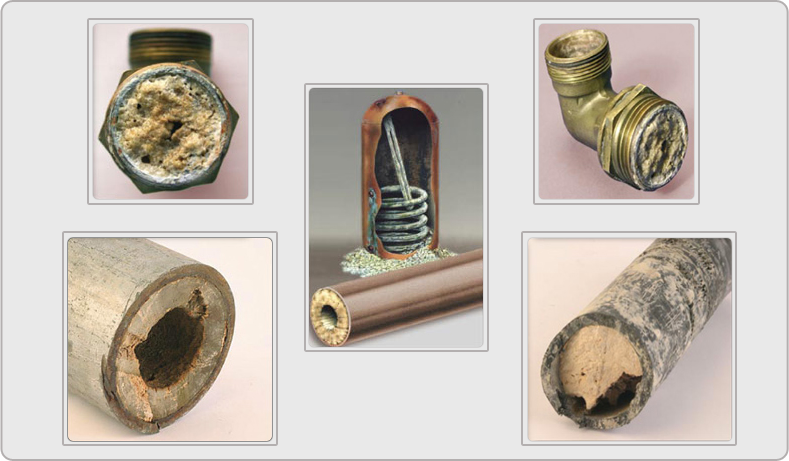 Copper pipe plumbing is bacteriostatic. This means that bacteria can't grow in the copper pipes. Plumbing codes define which materials may be used, and all materials must be proven by ASTM, UL, and/or NFPA testing. Galvanized steel supply pipes are commonly found with interior diameters from 1/2" to 2", though most single family homes' systems won't require any supply pipes larger than 3/4". Pipes have National Pipe Thread (NPT) standard male threads, which connect with female threads on elbows, tees, couplers, valves, and other fittings. Galvanized steel (often known simply as "galv" or "iron" in the plumbing trade) is relatively expensive, difficult to work with due to weight and requirement of a pipe threader, and suffers from a tendency to obstruction due to mineral deposits forming on the inside of the pipe. It remains common for repair of existing "galv" systems and to satisfy building code non-combustibility requirements typically found in hotels, apartment buildings and other commercial applications. It is also extremely durable. Black lacquered steel pipe is the most widely used pipe material for fire sprinklers. Tubing made of copper was introduced in about 1900, but didn't become popular until approximately 1950, depending on local building code adoption. Type K has the thickest wall section of the three types of pressure rated tubing and is commonly used for deep underground burial such as under sidewalks and streets, with a suitable corrosion protection coating or continuous polyethylene sleeve as required by code. Type L has a thinner pipe wall section, and is used in residential and commercial water supply and pressure applications. Type M has the thinnest wall section, and is generally suitable for condensate and other drains, but sometimes illegal for pressure applications, depending on local codes. Types K and L are generally available in both hard drawn "sticks" and in rolls of soft annealed tubing, whereas type M is usually only available in hard drawn "sticks". Thin-walled types used to be relatively inexpensive, but since 2002 copper prices have risen considerably due to rising global demand and a stagnant supply. Pinhole leaks occur anytime copper piping is improperly grounded. Typically not found in new homes, pinholing due to bad grounding occurs in homes where the original plumbing has been modified. Homeowners may find a new water filtration device has interrupted the ground when they start seeing water leaks after a recent install. It occurs very rapidly, usually being seen about six months after the ground interruption. Correctly installed appliances will have a copper jumper cable connecting the interrupted pipe sections. Non-copper (i.e., Pex) installs, do not have this problem. The effect is known as galvanic erosion or electrolytic pinholing. It occurs because the water is forced to act as an electrical conduit across the jumpered section, resulting in ionization of materials in the water. When the water conducts the electrical potential back to the copper on the other side of the gap, the ionized minerals bind with the copper creating copper salts. Eventually pin hole leaks form, and where there is one, there are usually more. If you call a plumber out for two pin hole leaks, be sure to examine the grounding. It is very aggressive. Detecting and eliminating bad grounding is relatively straightforward. Detection is accomplished by use of a simple voltmeter set to DC with the leads placed in various places in the plumbing. Typically, a probe on a hot pipe and a probe on a cold pipe will tell you if there is improper grounding. Anything beyond a few millivolts is important, potentials of 200 mV are common. A bad ground will show up best in the area of the gap, as potential disperses as the water runs. Since the bad ground is usually seen near the water source, as filtration and treatment equipment are added, pinhole leaks can occur anywhere downstream. It is usually the cold water pipe, as this is the one that gets the treatment devices. Fixing the problem is a simple matter of either purchasing a copper jump kit, composed of a stranded copper cable at least 5mm in diameter and two clamps for affixing it the plumbing. Simpler fixes are possible by taking a length of electrical wire, stripping it on both ends, and affixing it to both sides of the gap. Thin wire, such as household electrical wire, will cure the ground problem, but if there is a surge from a lightning strike, it may break the thin wire, which is why store bought kits are thicker wire—to survive electrical surges. A similar jumper wire can also be seen crossing gas meters, but for a different reason. Note, if homeowners are experiencing shocks or sparks from plumbing fixtures or pipes, it is more than a bad ground, it is likely an electrical wire bridging to the plumbing, but the result is the same, galvanic corrosion. Pinhole leaks from galvanic corrosion can result in thousands of dollars in plumbing bills, and sometimes necessitating the replacement of the entire affected line. PVC/CPVC - rigid plastic pipes similar to PVC drain pipes but with thicker walls to deal with municipal water pressure, introduced around 1970. PVC should be used for cold water only, or venting. CPVC can be used for hot and cold potable water supply. Connections are made with primers and solvent cements as required by code. PBT - flexible (usually gray or black) plastic pipe which is attached to barbed fittings and secured in place with a copper crimp ring. The primary manufacturer of PBT tubing and fittings was driven into bankruptcy by a class-action lawsuit over failures of this system. However, PB and PBT tubing has returned to the market and codes, typically first for 'exposed locations' such as risers. PEX - cross linked polyethylene system with mechanically joined fittings employing barbs and crimped steel or copper fittings. Polytanks - plastic polyethylene cisterns, underground water tanks, above ground water tanks, are made of linear polyethylene suitable as a potable water storage tank, provided in white, black or green, approved by NSF and made of FDA approved materials. Aqua - known as PEX-Al-PEX, for its PEX/aluminum sandwich - aluminum pipe sandwiched between layers of PEX and connected with brass compression fittings. In 2005, a large number of their fittings were recalled. Potable water supply systems require not only pipe, but also many fittings and valves which add considerably to their functionality as well as cost. The Piping and plumbing fittings and Valves articles discuss them further. Before a water supply system is constructed or modified, the designer and contractor need to consult the local plumbing code and obtain a building permits prior to construction. Even replacing an existing water heater may require a permit and inspection of the work. NSF 61 is the U.S. national standard for potable water piping guidelines. National and local fire codes should be integrated in the design phase of the water system too to prevent "failure comply with regulations" notices. Some areas of the United States require on-site water reserves of potable and fire water by law. The waste water from the various appliances, fixtures, and taps is transferred to the waste and sewage removal system via the sewage drain system. This system consists of larger diameter piping, water traps, and is well vented to prevent toxic gases from entering the living space. The plumbing drains and vents article discusses the topic further, and introduces sewage treatment. Bottled water has reduced amounts of copper, lead, and other metal contaminants since it does not run through the plumbing pipes where tap water is exposed to metal corrosion. The levels vary for every household and plumbing system, but usually the minor levels of lead and copper are negligible. In 2007, it was found that some bottled water companies were selling water that was contaminated and less healthy for consumers than tap water. The Natural Resources Defense Council (NRDC) conducted a four year study on bottled water. The results of this study show that one-third of the bottled water tested contained levels of contamination which exceeds allowable limits under either state or bottled water industry standards or guidelines. In a study with 57 bottled water samples and tap water samples, all of the tap water samples had a bacterial content under 3 CFUs/mL and the bottled water samples' bacterial content ranged from 0.01-4900 CFUs/mL(colony-forming unit). Most of the water bottle samples were under 1 CFU/mL, though there were 15 water bottle samples containing 6-4900 CFUs/mL. In another study comparing 25 different bottled waters, most of the samples resulted exceeding the contaminant level set by the U.S. Environmental Protection Agency‎ (EPA) for mercury, thallium, and thorium. Being exposed to these contaminants in high concentration for long periods of time can cause liver and kidney damage, and increase risk for lung and pancreas disease. Many large corporations and some water companies and wholesalers, especially in the California Bay Area are now making a large effort to promote tap water over bottled water. Some of the Bay Area cities that promote tap over bottled water include San Francisco, Emeryville, Santa Clara, and Oakland. The Santa Clara Valley Water District in Santa Clara County launched its tap versus bottled water campaign, with the slogan, "Tap Water, the Clear Choice", in 2007. During the 2007 U.S Conference of Mayors, the mayors of San Francisco, Salt Lake City and Minneapolis signed a pledge to promote tap water over bottled water as part of the "Think Outside the Bottle" campaign. Chlorine is a disinfectant which is added to tap water in the United States. Chlorine can leave organic material like trihalomethanes and haloacetic acids in the water. The level of chlorine found is small, 1L of chlorinated water gives 0.2 mg of chlorine, which is too small to cause any health problems. While most U.S. cities have what is considered safe tap water, contaminants ranging from bacteria to heavy metals are present in some tap water and violations of tap water standards have been well-publicized, such as the severe 1993 Cryptosporidium outbreak in Milwaukee, Wisconsin, which led to several deaths and around 400,000 illnesses (see: Milwaukee Cryptosporidium outbreak). The University of Cincinnati recently completed a Tap Water Quality Analysis, funded by PUR, for major US cities. Tap water can sometimes appear cloudy, and this is often mistaken for a mineral impurity in the water. Cloudy water, also known as white water, is actually caused by air bubbles coming out of solution in the water. Because cold water holds more air than warm water, small bubbles will appear in water with a high dissolved oxygen content that is heated or depressurized, because this reduces how much dissolved gas the water can hold. This condition is completely harmless, and the cloudiness of the water disappears quickly as the gas is released from the water. ^ a b Petraccia, L., Liberati, G., Masciullo S.G., Grassi, M. & Fraioli, A.. "Water, mineral waters and health". Clinical Nutrition 25 (3): 377–385. doi:10.1016/j.clnu.2005.10.002. ^ Lalumandier, J.A., & Ayers, L.W. (2000). "Fluoride and bacterial content of bottled water vs tap water". Archives of Family Medicine 9: 246–250. http://courses.washington.edu. Retrieved 2009-11-01. ^ Ikem, A., Odueyungbo, S., Egiebor, N.O., & Nyavor, K. (2001). "Chemical quality of bottled waters from three cities in eastern Alabama". The Science of the Total Environment 285 (1-3): 165–175. doi:10.1016/S0048-9697(01)00915-9. ^ [|van der Leun, Justine] (September 2009). "A Closer Look at New Research on Water Safety". AOL Health. http://www.aolhealth.com/healthy-living/pollution-water-effects. Retrieved September 2009. U.S. Centers for Disease Control and Prevention (CDC) Healthy Water - Public Water Systems - One-stop resource for information on public water systems supplying tap water including information on drinking water, fluoridation, water testing, water-related diseases and contaminants, etc., plus links to EPA, WHO, and other resources. Bottled Water: Better than the Tap? - A Food and Drug Administration site, explains different sources & treatment of water in depth and compares them. There are many commercial ways of treating hard water including water filters, water softeners, electromagnetic water conditioners and reverse osmosis. In this section we will look at the pro's and con's of several of the available methods to treat hard water. These are chemicals which help to control water hardness. There are two types, precipitating and non-precipitating. Precipitating water softeners include washing soda and borax. These products form an insoluble precipitate with calcium and magnesium ions. The mineral ions then cannot interfere with cleaning efficiency, but the precipitate makes water cloudy and can build up on surfaces. Precipitating water softeners increase alkalinity of the cleaning solution and this may damage skin and other materials being cleaned. Non-precipitating water softeners use complex phosphates to sequester calcium and magnesium ions. There is no precipitate to form deposits and alkalinity is not increased. If used in enough quantity, non-precipitating water softeners will help dissolve soap curd for a period of time. Water filters cost approximately $0.04 (£0.025) / litre to run. Electromagnetic water conditioners are a relatively new invention. The idea is that by passing water through a magnetic field, the calcium and magnesium ion's are altered in such a way that they loose their ability to cause scale. This has a number of benefits; although the water is not technically soft, it has the useful properties of soft water, that is, it won't cause limescale in your pipes thus increasing heating efficiency and lengthening the lifespan of any clothes washed in the conditioned water. Calcium is an important dietary element, so the fact that conditioned water still retains its calcium content is an added benefit. While some people are skeptical this method actually works, we have found one manufacturer who has commisioned a scientific analysis by the University of Bath that concludes that their device does indeed stop the build up of limescale. Water described as "hard" means it is high in dissolved minerals, specifically calcium and magnesium. Hard water is not a health risk, but a nuisance because of its tendancy to cause mineral buildup in water pipe and heating systems, and its poor soap and/or detergent performance when compared with soft water. As water moves through soil and rock, it dissolves very small amounts of minerals and holds them in solution. Calcium and magnesium dissolved in water are the two most common minerals that make water "hard." The degree of hardness becomes greater as the calcium and magnesium content increases. Choose a correct laundry detergent – Some laundry detergents do not produce as many suds in hard water, these are likely to be soap-based products and do not work as well in hard-water as detergent based products. Nowadays, there are washing powders and liquids available for a wide range of water hardness. Make sure you choose the correct detergent for your area; you may also need to use slightly more detergent than the manufacturers recommended amount to compensate for the hard water. In many cases the manufacturer will give specific instructions on how to use the product in hard water areas, look out for these labels on your product. 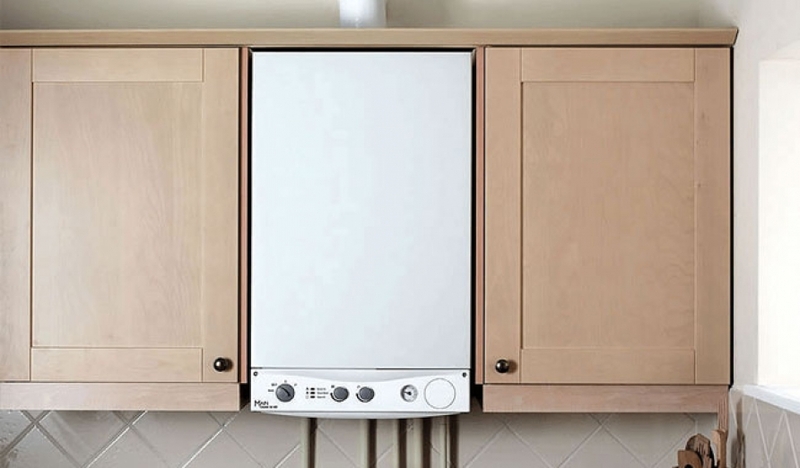 Reduce the temperature of your boiler – As the water temperature increases, the more mineral deposits will appear in your dishwasher, water tank and pipes. By reducing the heat of your boiler to about 55ºC, you will have enough hot water for your shower and you will reduce the amount of mineral build-up in your pipes and tanks. Use rinse agents to remove mineral deposits – There are many rinse agents available to remove mineral deposits from crockery and dishwasher. Alternatively, you can use white vinegar by using the dishwasher dispenser or placing a cup of vinegar on the dishwasher rack. Boil some white vinegar in your kettle as a useful way of removing hard water deposits. Water conditioners or Water Softeners? Traditionally the water treatment market had one main solution to hard water. This solution was water softeners. However, in recent years alternative treatments have become increasingly popular, the most interesting of which is electromagnetic water conditioning. Water Softeners work by ion exchange, so sodium replaces the calcium and/or magnesium in the water. Water Conditioners on the other hand create a magnetic field around your pipework which alters the ions in the water so that they loose their ability to cause scale. In tackling hard water, both methods will reduce limescale. Water Conditioners are significantly less expensive to start with and they have negligible running costs. Water Softeners cost a lot more but have the added effect that they will treat very small amounts of other metals such as Copper, Iron or Zinc.